Effective social media is so much more than herding followers and slinging posts on Facebook and Twitter. Even more than writing reviews, ghost-blogging or contests. 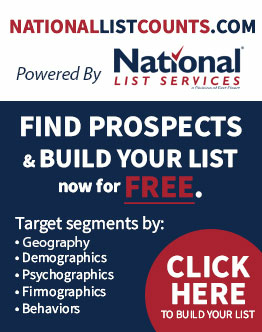 National List Services believes that great marketing starts with strategy. Even a simple plan. For example, what are your specific goals? Who do you want to reach? How do you want them to see you? We help you develop a basic media mission, such as: [Our company] is the place where [our audience] gets [what information] that offers [what benefit]. NLS also believes empathy may be the single greatest marketing skill. Where and how does your audience work/play? What do they need? How do they use social media? What will motivate them to buy? What are their pain points, concerns, objections? Who influences them? All of this is crucial for crafting the right voice or personality for a stellar social campaign that truly helps you succeed. Not only do we do the heavy lifting – creating content that follows your custom strategy – we continually check to see that it’s working. We’re always updating our tools and techniques to give you more than expected. Interested? Give us a call and let us know. We’d love to work together with you.